In recent past we have seen a great buzz of the wearable devices and other such smart technology gadgets. And when it comes to wearable tech gadgets, we can hardly think without Smart Watches and Google Glasses. We all know that wearable devices are such amazing innovation in technology that can be worn by consumers. These are so efficient that you have really a very quick access to digital world. Such wearable devices are so close to you and include many of your tracking and health related information. Yes, these ultra modern wearable technology gadgets can also be used for your health improvement as they can easily track and monitor your heart beats, burnt calories etc. And with the development of many utility apps for smart tech wearable devices, they have got even much more smarter. That is why you may consider to buy these tech wearable devices. So if you are looking to buy any of these best wearable gadgets, here you’ll come to know why they are much better than other smart gadgets. 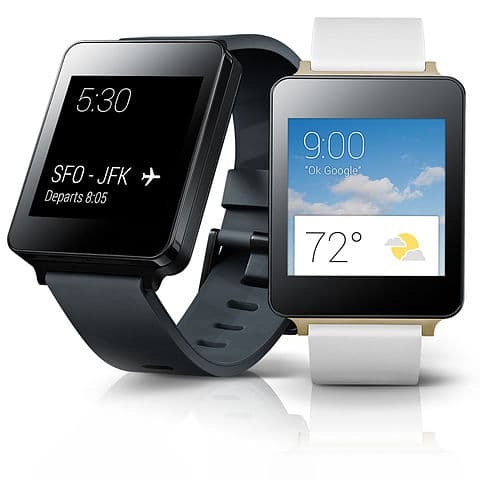 Why Must You Buy Tech Wearable Devices Especially Smart Watches? Though they are somewhat costlier than your basic smartphones yet such devices are becoming a trend in modern era at a very fast pace. Here is an interesting info-graphic from MobileShop.eu entitled “6 Facts Why You Should Buy Smart Watch ?” which depicts it clearly that why you must buy tech wearable devices like smart watches. In an era when we are getting much smarter every now and then, I think the success of tech wearable devices is sure in near future as the new smart wearable gadgets are getting much more efficient and bringing out a revolution in the world of technology especially the health improvement features are something that is very admirable and innovative approach to make our lives much easier. What do you think ? Do let me know you views and ideas about new trend of market “Wearable tech devices” in the comment box below. What Lies in The Future of Mobile Technology ? – What’s Next in The World of Smartphones ?